NEW YORK Bob Costas isn't backing down from his halftime comments on gun violence, but he wishes he had more time. The NBC sportscaster gave interviews Tuesday to Dan Patrick and Lawrence O'Donnell about his Sunday-night halftime commentary following Kansas City Chiefs player Jovan Belcher's murder of his girlfriend and subsequent suicide. Both interviews were longer than the commentary itself. "My mistake is I left it open for too much miscommunication," Costas said on the Dan Patrick Show. "A discussion should ensue about the football culture, the gun culture, domestic violence ... those issues should be discussed if we're looking for some kind of elusive perspective." Costas said domestic violence, football, the gun culture and possible substance abuse could have been factors in the tragedy. He said the availability of a gun wasn't the only issue, but he didn't have more time for a nuanced discussion Sunday. He added that he does not support the repeal of the Second Amendment but said he was concerned about the prevalence of guns and semi-automatic weapons in society. "Among young people, there seems to be too cavalier an attitude toward guns," he said on the Dan Patrick Show. 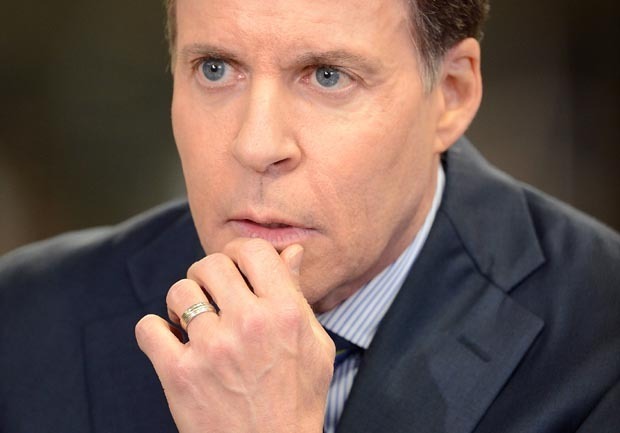 Costas received some criticism for injecting politics into a sporting event.